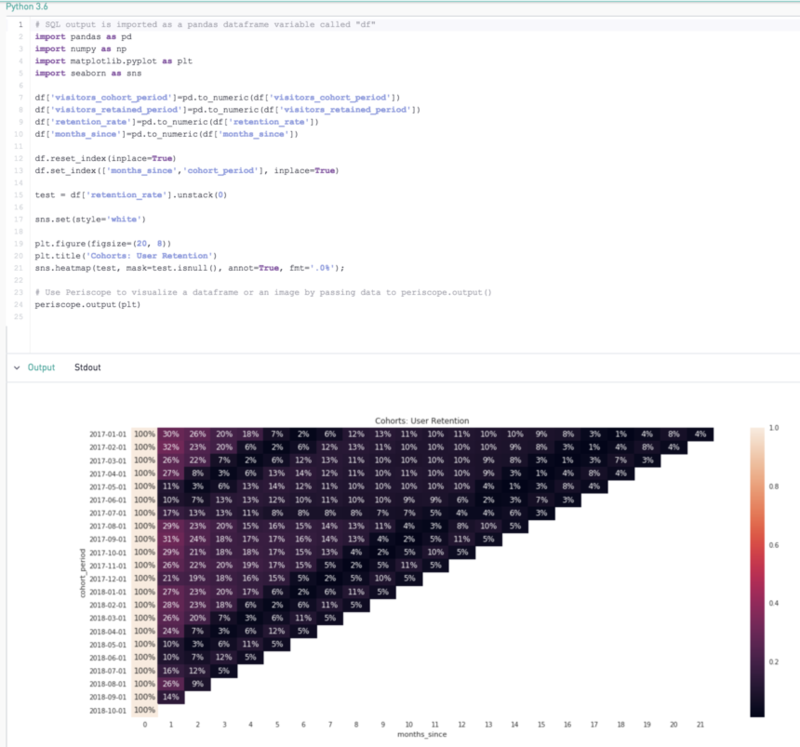 I want to share some code I put together to make a cohort grid using Python, Pandas, matplotlib and Seaborn in case it's useful to others. Also thanks to Neha for her help debugging a few data type issues! Awesome visualization Chris Eldredge ! Could you share how the data was formatted when output by the SQL code and loaded into Python? Specifically, what columns did you have and what did they represent? Again, really nice chart!